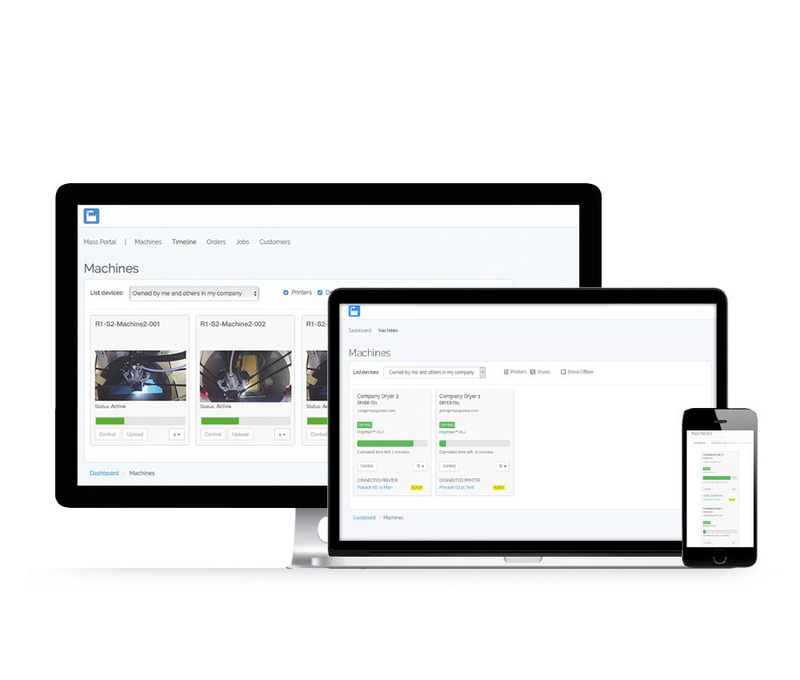 View 3d printer and filament dryer status, job progress and machine information remotely. Track your prints via 3D printer built-in camera feed. Receive notifications about status changes, finished jobs and operator attendance requests.